Brno, Jan 22 (BD) – More than 60 trams in Brno will be newly equipped with a lubrication system that will reduce the unpleasant screeching. So-called “okolky” are parts of a tram wheel. 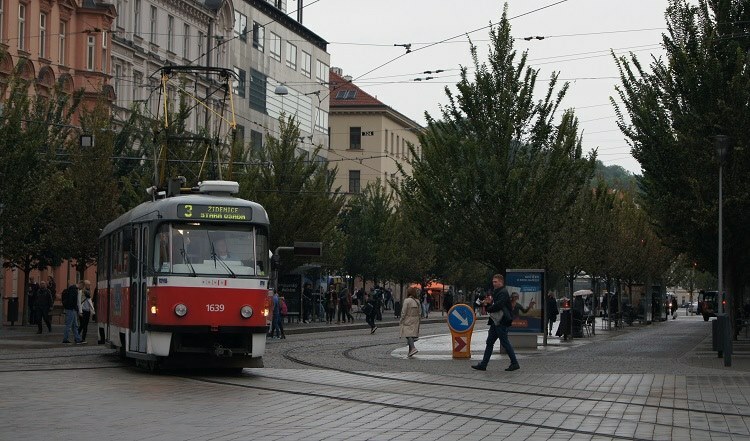 Under normal circumstances, the “okolky” and rails don’t touch; however, when a tram takes a turn, “okolky” and rails meet and create a sharp squeaky sound. In addition, both wheels and rails wear out. Brno City Transport Company (DPMB) has been testing a new lubrication system for several months. “The vehicle’s control and information system tracks the vehicle’s GPS position and sends an order to the tram to apply a special ecological lubricant at predefined points,” DPMB Technical Director Zdeněk Jarolín said.